Now a European concern, the project was again renamed, this time as EUROFLAG (European Future Large Aircraft Group) and was formally established as a limited liability company in Rome in 1991. In September 1994 it was absorbed by Airbus Industrie and the programme management passed to a dedicated Airbus Military core team in Toulouse in 1995. A European Staff Requirement was agreed, the partner nations wanting something that was larger and faster than the C-130 and C-160, with a capacity to carry loads nearly twice the weight of the current types. A four-engined turboprop aircraft was envisaged as these engines consume 20% less fuel per mission than a turbofan of equivalent power, providing the optimum combination of take-off and landing performance and fuel efficiency in the cruise. 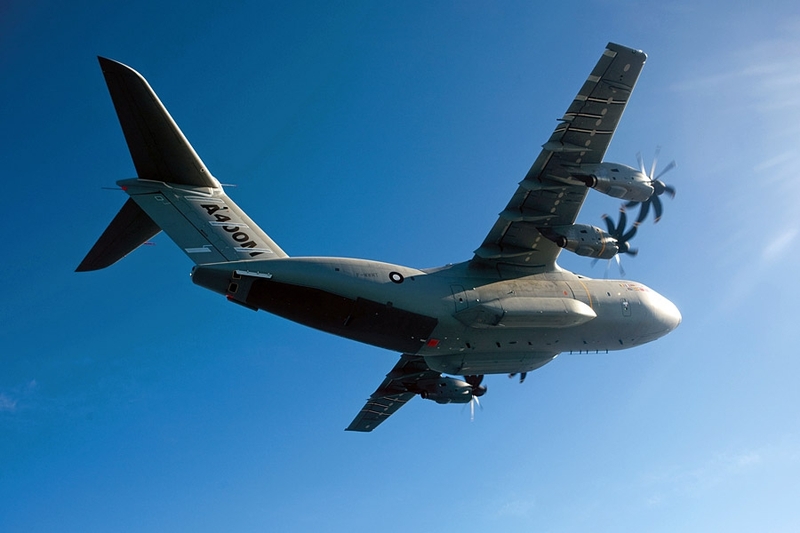 It would also need better tactical performance than the Hercules with similar capabilities on soft and short austere airfields and be multi-role – able to operate in the medical evacuation (medevac), air-to-air refuelling and special mission roles. 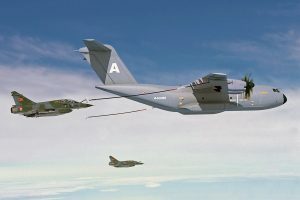 The UK was the first nation to commit to ordering the aircraft, announcing on May 16, 2000, that it would take 25, half of the expected acquisition. 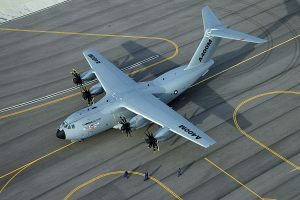 Delays in the programme had forced the Ministry of Defence to order 25 Lockheed C-130Js and lease four Boeing C-17s to cover obsolescence in the Royal Air Force C-130K fleet, of which many airframes had reached their fatigue limit. France and Germany followed on June 9, 2000, and the partner nations met at the Farnborough International Air Show on July 27 committing to an initial 225 aircraft. 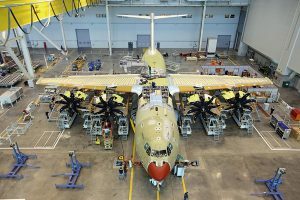 Contract signature had been planned, but this slipped until December 18, 2001 and was only for an initial tranche of 40 A400Ms. 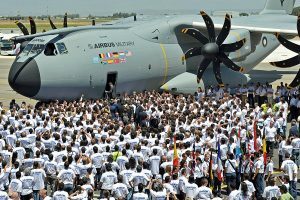 Eventually the A400M programme was formally launched on May 27, 2003 with a contract signature between Airbus Military and OCCAR covering the purchase of 212 aircraft. This was quickly reduced to 180 following the withdrawal of Italy and Portugal from the programme and first flight was planned for 2008 with initial deliveries in 2009. Export orders arrived in 2004 and 2005 for eight aircraft for South Africa and four for Malaysia, bringing the total to 192. 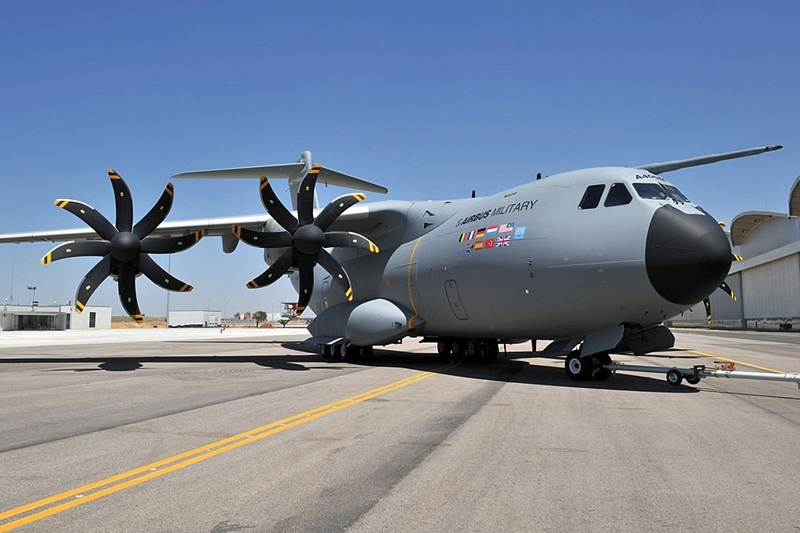 The A400M is designed to both civil and military certification standards and incorporates state-of-the-art technology from Airbus civil aircraft, including the glass cockpit and side-stick controllers for the fly-by-wire flight control system. 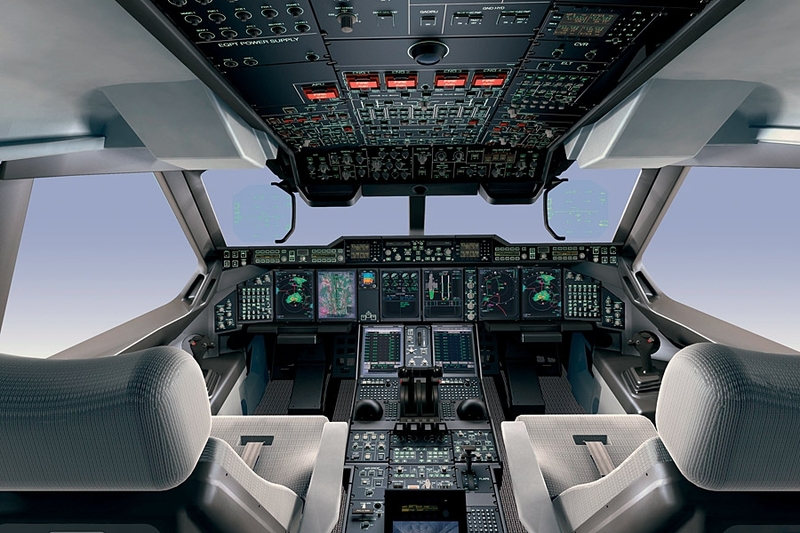 A400M pilots will enjoy head-up displays as primary flight instruments, augmented by large multi-function displays. 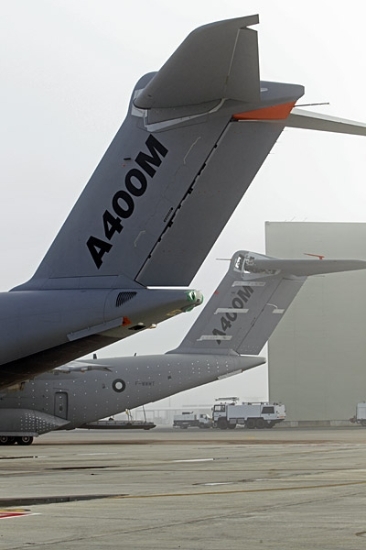 Like the passenger jets, the A400M makes extensive use of composite materials. The wing is the largest composite structure of its type ever to be made and features the first CFRP (carbon fibre reinforced plastic) wing-box on an Airbus-built aircraft. A six-wheel main undercarriage offers excellent soft and short-field capabilities and allows the aircraft to be flown from short, unpaved airfields with as little as 3,280ft (1,000m) of usable runway. Its small turning radius and ability to reverse (even up a 2% slope) allows it to operate from confined aprons and taxiways. The 74ft 4in (22.65m)-long cargo hold is 13ft 1in (4.00m) wide at floor level and 12ft 7in (3.85m) high, and can carry up to six tons of payload, large enough to accommodate up to 116 fully equipped troops or paratroops, seated in four fore-and-aft rows, or up to 66 stretchers with 25 attendants. Possible loads include up to six Land Rovers and trailers, two Boeing AH-64 Apache or Eurocopter Tiger attack helicopters, or two five-ton trucks and two 105mm guns. 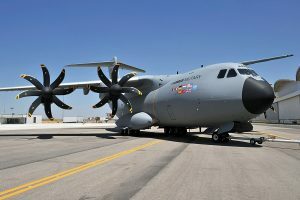 Key to the A400M’s performance capabilities are its four Europrop International TP400-D6 three-shaft 11,000shp (8,206kW) engines, which are powerful enough to give a cruising speed of Mach 0.72 at altitudes of up to 40,000ft (12,190m). 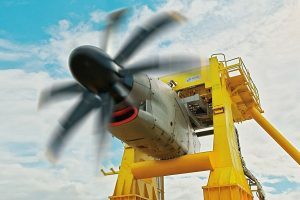 The engines drive eight-bladed Ratier-Figeac FH386 propellers, one of the largest airscrews in the world, with a diameter of 17ft 6in (5.34m) specially designed to handle the very high power produced by the A400M’s engines. 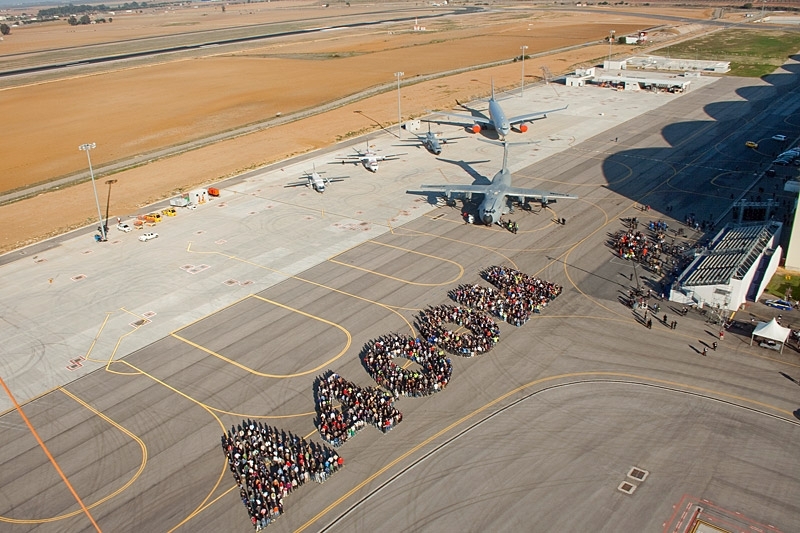 On December 11, 2009 at 10:15am and in front of 1,000 invited guests and media representatives, the first A400M took off from Seville’s San Pablo Airport for this military airlifter’s much-delayed maiden flight. Initially things did not go smoothly as the aircraft was held at the runway holding point for 15 minutes as some computers used for flight test instrumentation had to be reset once, and in some cases twice. Fortunately this hurdle would not have prevented the flight from taking place, it would simply have meant that less data would have been collected. The A400M’s performance in landing configuration was also examined. The aircraft mainly flew between 8,000 and 10,000ft (2,400 – 3,000m), though was taken up to 18,000ft (5,500m) for a pressurisation test. It also reached the type’s top speed of 300kts (555km/h). The Europrop International TP400D engines are said to have performed as expected. 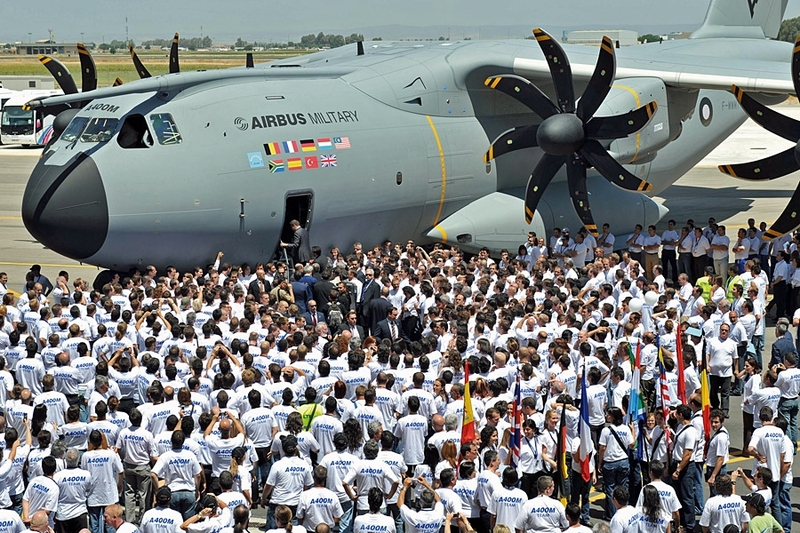 The crew for this historic occasion comprised Edward ‘Ed’ Strongman, Airbus Military’s Chief Test Pilot who captained the flight, while in the right-hand seat was Ignacio ‘Nacho’ Lombo, Experimental Test Pilot. Three Senior Flight Test Engineers were onboard: Jean-Philippe Cottet, who had responsibility for the engines; Eric Isorce looked after the aircraft systems and performance, while Didier Ronceray was assigned to monitor the handling qualities. Completing the crew was Test Flight Engineer Gerard Leskerpit. Teams of engineers in Toulouse, France and in Seville also scrutinised telemetry while the aircraft was in flight to monitor its performance. A400M will undergo civilian European Aviation Safety Agency (EASA) type certification, a requirement of customer nations at contract signature as there was no joint European military certification body. Consequently, civil certification will provide the basis upon which each nation can add its own military elements. EASA and military certification and Initial Operating Capability (IOC) is planned for the end of 2011 after completing 2,800 flight test hours – 1,900 for civil work and 900 for military requirements. Up to entry into service in late 2012 a further 400 and 500 hours will be flown for civil and military purposes for fine-tuning equipment as well as operational and military systems demonstrations. Another 670 flight test hours are planned for detailed military equipment certification. Because of the delay and spiralling cost, in early 2010 the A400M was the focus of fierce debate amongst economists and politicians. 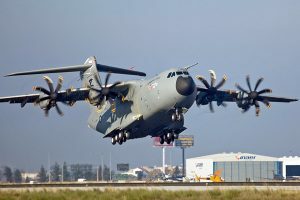 Some called for its cancellation, while EADS, parent company of Airbus, said that it wouldn’t continue at “any cost”. Deadlines for decisions were demanded by both the company and partner nations. 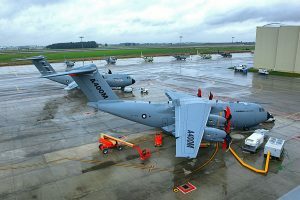 South Africa cancelled its order for eight aircraft and partner nations said they were considering drastic cuts in procurement if the price didn’t come down. 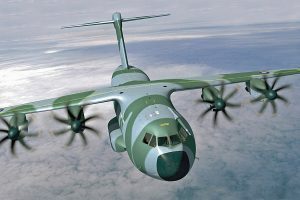 On confirmation of agreement of the deal, the UK Ministry of Defence swiftly announced that the Royal Air Force will receive 22 A400M transport aircraft, a reduction of three from the original total. 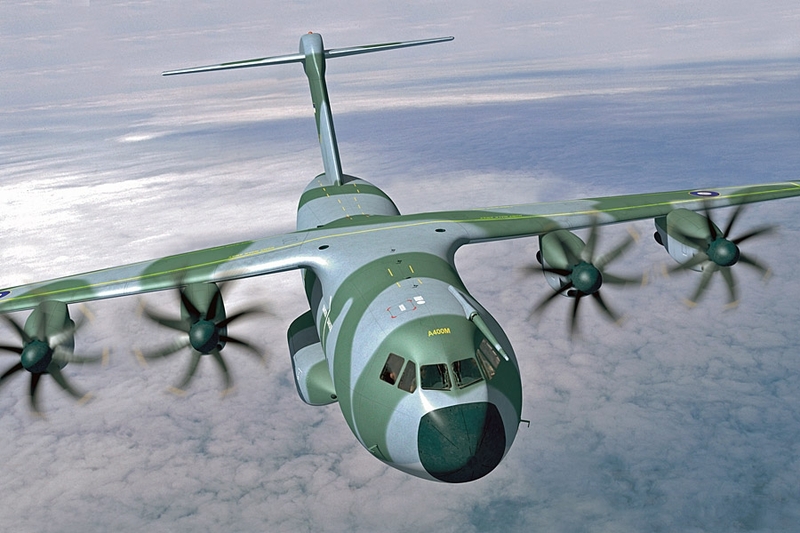 On April 2 the French procurement agency Direction Générale pour l’Armement (DGA) confirmed it had ordered eight CASA CN 235 light transport aircraft as a stop-gap measure until the A400M is in service with the French Air Force. 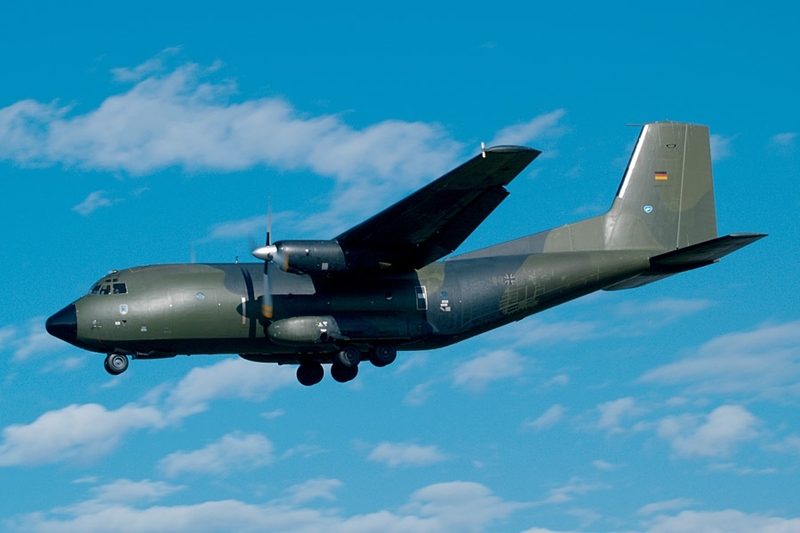 The €225 million deal will see the aircraft delivered between late 2011 and mid-2013, and they will be used for light duties, taking pressure off the Armée de l’Air’s fleets of larger Transall C-160 and C-130 Hercules transporters. The second pre-production A400M, MSN 2, took off from Seville for a near five-hour test flight on April 9. 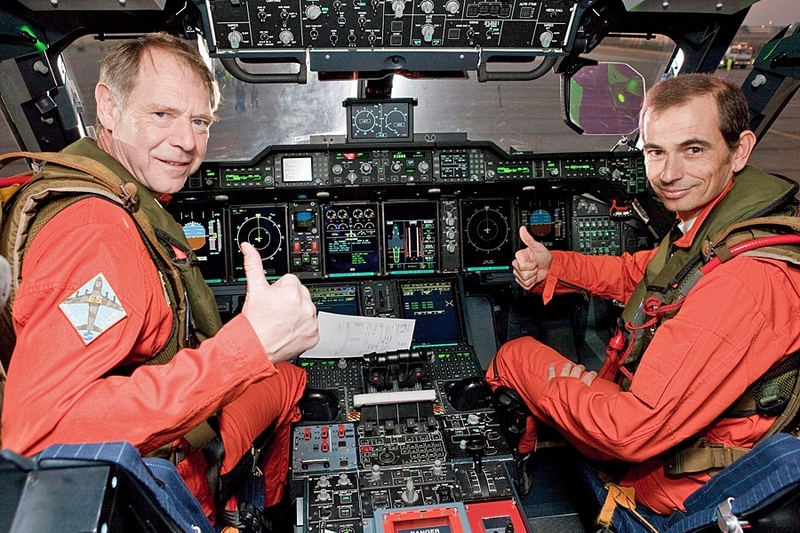 In the cockpit were Experimental Test Pilots Michel Gagneux and Karl-Heinz Mai, supported by Flight Test Engineers Jean-Jacques Bernard, Emiliano Requeña and Gérard Maisonneuve. MSN2 is the second of five aircraft that will undertake the 3,700 hour flight-test programme leading to first delivery. It will be primarily dedicated to aircraft and powerplant performance testing, while MSN 1 continues to be used to investigate the flight envelope, loads, flutter, and handling qualities at Toulouse in France. A fifth aircraft, MSN 6, will enter the programme during 2011 and will be the first example built to production standard. MSN 1, 3 and 6 will be based in Toulouse, while MSN 2 and 4 will be in Seville. MSN 5 was due to be used for tests as well, but as it would only have been available for the last six months of the campaign it was decided to suspend its construction because the company wanted to have the final aircraft in the flight test programme to be equivalent to subsequent production aircraft. This will also allow improvements that result from the first year of flight test to be integrated on the aircraft.